Mortgage Modification Can Help Everyone! A mortgage modification can help you save money on your mortgage by cutting your interest rate and lowering your monthly payments. Many people have been struggling during this rough economic time with their mortgage payments. Whatever their reason may be, the mortgage is becoming harder to pay each month and thoughts of foreclosure abound. Other people are already behind in their payments and facing foreclosure, not knowing where to turn. A mortgage modification can be one of your debt remedy solutions. Mortgage loan modification is available to anyone who qualifies and it can help you save your home and become financially stable again. When you enter a mortgage negotiation your lender will review all your current financial information. Major changes in your income, such as a layoff or retirement, will be considered when the negotiations take place. You will need to provide the lender with all documentation that supports your change in income. You do not need to be in a financial crisis to take advantage of this opportunity to save money on mortgage debt. If there has been any type of change to your income that causes you financial hardship, you may apply for the program. People facing foreclosure or that are in foreclosure proceedings can still take advantage of a loan modification. This modification can save your home. 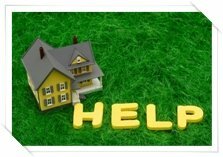 When you are approved for a loan modification your loan will be brought current and you will no longer be facing foreclosure. There is ALOT of paperwork associated with this program. Each individual lender has specific forms to fill out. These applications can range from 14 to 50 pages in length. You must be very careful to complete each section and attach any required documents. There are preparation companies available for those who do not feel comfortable with paperwork. This program can, and will, help you take control of your financial future. A simple reduction in interest rates can save you thousands of dollars of the course of your loan. Reduced monthly payments will also help you adjust your family money management to any changes in your current income. Homeowners facing eviction will take solace in this program as an easy way to prevent foreclosure. The program is available to everyone and should be used if necessary. Do You Have A CC Debt Problem?